So the reading slump that I have been in for as long as I can remember is still with me and sees no signs of abating. I’m working on the basis that it’s best not to force the issue which is why my lovely brand new copy of Moon Over Soho by Ben Aaronovitch is sitting untouched on my desk. I’ve been looking forward to this coming out ever since I read Rivers of London when I was ill earlier this year and got a copy as soon as I could largely to make Silvery Dude speechless with envy (and I succeeded in that at least). But now I’m actually scared to pick it up in case it’s not powerful enough to overcome The Slump. Quite sad really. A bit depressing really but not insurmountable and you never know, although I didn’t read much over Easter weekend we have another Bank Holiday next weekend, and once I’ve feasted upon the delights of the Royal Wedding on Friday morning I may just curl up in a chair with something good to read and The Slump may be defeated. 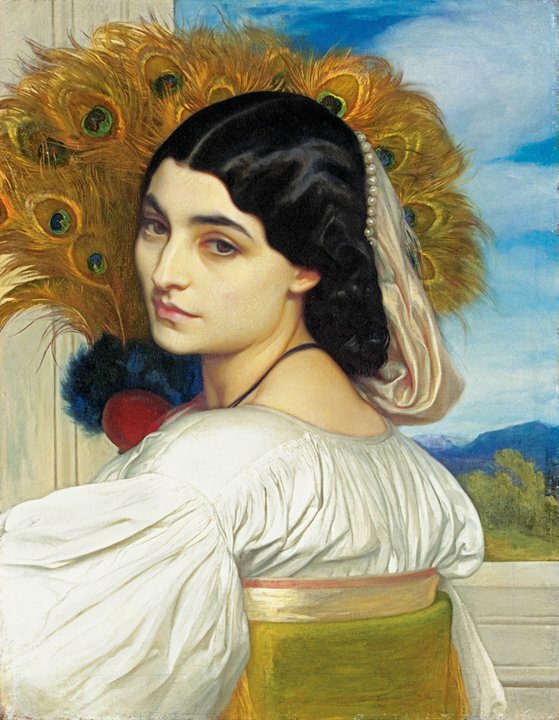 Oh and the picture at the top of the post is “Pavonia” by Frederic Leighton which is being used as the poster image for an exhibition at the Victoria & Albert Museum which the Book God and I went to on Saturday afternoon – The Cult of Beauty: The Aesthetic Movement 1860-1900. Well worth a visit if you are in London and enjoy beautiful things.